Perfect for a young woman on her First Holy Communion day, this veil features three layers of lace with a bow and accent cross, on a comb. All First Communion veils are gift boxed. 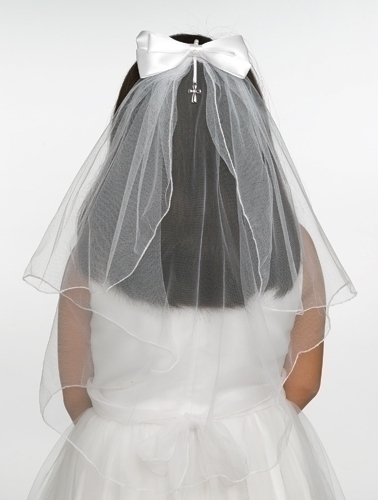 Generations has more First Communion veils available in store. Contact us or stop in today! Note: All veil sales are final. No returns, refunds, or exchanges, online or in store.